Any competitive fencer knows that strength and power play an integral part in success at the highest levels of competition. However, when it comes to how to train outside of the usual conditioning classes and drills provided by their coaches, most fencers also find themselves at a loss for what approach to take. They may have heard the weight training is bad for fencers because they might “bulk up”, or that they should only do high reps/low weight. Many fencers run long distances as their cardio, some run stairs, and some don’t do cardio at all. In truth, the ideal workout plan for a fencer depends greatly both on the pre-existing condition of the fencer, and on which part of the season the training falls into. 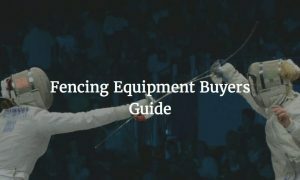 The following is an attempt at setting some guidelines for a good conditioning program for fencers. The first and most important point is that a fitness professional should always be consulted before starting a workout plan. 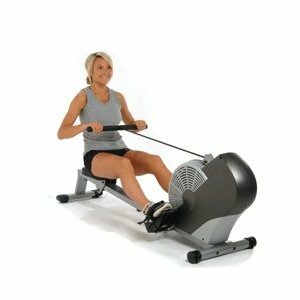 When choosing a trainer to work or consult with, it is important that they do some preliminary testing with you, that you ensure that they are aware of any pre-existing conditions that may affect your exercise capacity, and that they discuss your specific strengths and weaknesses with you. Since many trainers have never seen fencing, it would also be useful to demonstrate some the movements you will be doing (lunge, advance, retreat, etc. )to them and walk them through the phases of each. This will give them a more complete understanding of the muscles used in each movement and the biomechanics involved. Any exercise done without proper form has the potential to hurt you, and probably won’t help you. While “bulking up” should be avoided (no fencer should be aspiring to become an Olympic weightlifter), heavy weights are not necessarily a problem. Many fencers have problems with power and acceleration, and it is difficult to train these aspects of a movement without applying significant resistance. Bulking up will occur only if a fencer trains exclusively with very heavy weights, and particularly with isolated exercises. If the fencer makes sure to maintain their range of motion, stretch, and to involve multiple joints/muscle groups in their exercises, they should not become “bulky” or slow down. All fencers, like any competitive athlete, should have a good base of strength and cardiovascular fitness to work from. This implies that if a fencer is just starting a fitness program for the first time, it need not be particularly fencing-specific, and cardiovascular training can be accomplished by simple jogging or running. 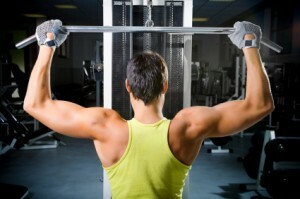 In this “basic strength” phase, neither weight nor reps need be high. Focus should initially be on understanding the movements involved in each exercise and performing them correctly, and on training all parts of the body (this includes the dreaded shoulder area). Exercises should involve multiple joints as much as possible, and train the body to work together. I personally divide my workouts into different broad categories of movements (pushing, pulling, jumping, etc. ), instead of specific muscles. Some important core exercises to address in the basic strength phase would be squats (often body weight is fine to begin with, focusing on avoiding the knees crossing over the toes), bench press/pushups, and lat pulldown (ideally pull-ups). These three exercises already involve the vast majority of the body’s main muscle groups , and can be easily modified (particularly in the case of the upper body exercises) by simply changing hand placement. They also all involve body stability, which is extremely important in all sports. Other important exercises include lunges (walking lunges, forward lunges, back lunges, etc. ), rows (these assist greatly in keeping the fencer’s back straight in en guarde), and a huge variety of abdominal exercises, both lying down (e.g. sit ups) and standing (e.g. twists with resistance bands). The frequency in any of these exercises should be two or three sets of 10-12, at about 70% of the fencer’s maximum capacity for each exercise. Since this phase is to build a base of conditioning, it is more important to get through the sets and repetitions than it is to get to particularly heavy weights (though it is very important to progress and gradually increase the weight). A more advanced athlete should begin considering how to vary his/her workout depending on the phase of the competitive season. About a month or two before tournaments start, training should start shifting more towards being fencing specific. 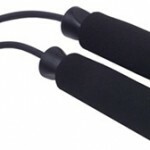 Cardiovascular fitness should now be steered towards the sort necessary during a bout. This means that running long distances is no longer necessary-interval training, sprints, and jump roping are much more effective and efficient. Interval training should be done with work/rest ratios similar to a bout. For instance, I will jump rope for three minutes, “rest” by doing basic footwork for a minute, jump for three minutes, and so forth). For running, I will jog for 2.5 minutes, sprint for 30 seconds, and repeat that cycle. This may vary between the weapons, as the average length of a touch in sabre is much shorter than that in epee. For a sabreist, it may be more useful to sprint/rest at a 5 second sprint/30 second rest ratio. 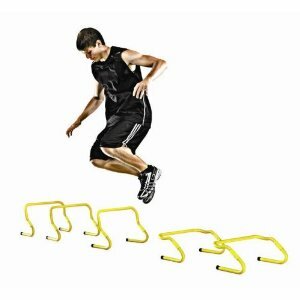 An agility ladder may be incorporated, to increase the fencer’s agility and ability to change direction. Plyometrics (jumping exercises) are also extremely effective in increasing power and speed, but can also be quite dangerous and can aggravate any previously existing conditions (the most common being patellar tendinitis), so they should be done cautiously and under close supervision. Weightlifting volume should change here as well; weight should start increasing (closer to the fencer’s limit), and repetitions per set need not be as high (this is true particularly of the lower body exercises). The closer the fencer gets to the competition, the more he/she should focus on lots of power and speed over short periods of time, and the more specific exercises and training should be to fencing movements. It is important to remember that fencers, like any other athletes, can benefit greatly from a good weightlifting and conditioning program. This should by no means replace the regular bouting, drilling, footwork, lessons, etc. that the fencer normally does. Cross training can also be a fun and effective way to train, particularly sports like squash and badminton that require quick changes in direction and good footwork over small distances. A good program doesn’t need any complicated, fancy exercises. It just needs a solid design, needs to be safe and age/skill level appropriate, and has to fit the fencer’s schedule and capacity. Any trainer should be able to design an effective program for a fencer (provided the fencer takes some time to explain how fencing works to them), and any fencer who follows a safe and effective strength and conditioning program should see significant results in their fencing. Lorenzo Casertano, CSCS (Certified Strength and Conditioning Specialist) is a graduate of Columbia University (majoring in neuroscience), and in graduate school at Columbia now getting a Doctorate in Physical Therapy. Lorenzo is currently a competitive epee fencer representing the NYAC.